The general purpose Model FA114T72, 4" (127mm) speaker is UL listed and handles 10-watts with quality, low-frequency reproduction and smooth extended response. The unit's 135° dispersion angle (-6dB 2kHz Octave Band) effectively reduces the number of speakers necessary to achieve total coverage in low-ceiling distribution systems. For optimum application versatility, Model FA114 has been engineered as a system with versatile 25V/70.7V transformer, optional matched enclosures, and selection of attractive grilles. 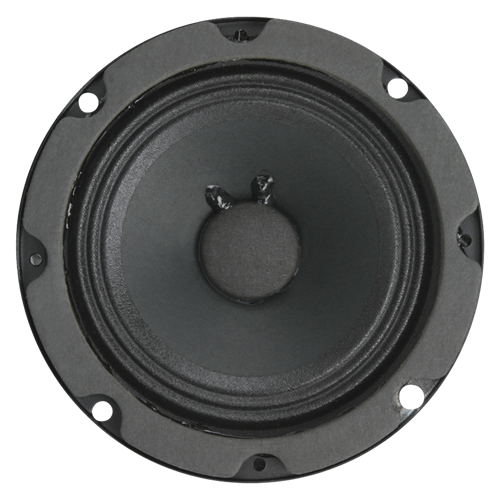 Speakers front-load into the enclosure or may be ceiling / wall mounted into areas with minimum depth by using plaster ring Model FAPR-4 instead of an enclosure.